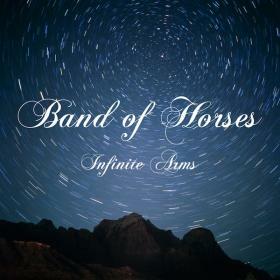 People of Earth: you must go listen to the new album by Band of Horses! Get there and hear it now! Ladies and Gentlemen, welcome to my look at the best of this decade. It has been an amazing time for music, and thanks to that vehicle that is the internet, we can actually witness a great deal of the music around us. It is actually a lot of fun to be able to look back like this and see what has been so good. Keep in mind: I am one person. There is no way that I’ve heard everything possible from this decade, so what follows is a personal list of favorites. Feel free to leave comments: what do you think I’m missing from this list? Please note my self-imposed rule for this list: ONLY ONE SONG PER ARTIST. This is done in the interest of expanding the selection. Otherwise, this might be a Spoon, Radiohead, and Modest Mouse love-fest. So without further ado, here starts the list. This unexpected song centers around strings and a humming keyboard. But its soul is instant and powerful. Sad, raw and very reserved. The combination of held-back drums and straining vocals is unforgettable. 48. “Paper Planes” by M.I.A. This song was literally everywhere, but with good reason. Insanely catchy and it even holds a message. An artifact of its source album, this rundown of mental trouble works well even outside the original setting. It’s the horns! As soon as the song kicks in, you don’t have a choice – you listen. Most of post-2000 Weezer has been dreadful. Maladroit is the exception, and this song is a classic. In a word, blistering. From that opening drum attack, it doesn’t let up. Metal at its finest. The startup riles the mind, but then they disarm you with that magical voice. That guitar holds you tight to the song, but the ethereal vocals make it stick in your mind. In general, Muse is overwhelming and a tad annoying. Here, they’re just too big to ignore. Very fun song. Her voice is big, but this song captures her excellence. Great, light music and a slightly over-the-top metaphor make this a late-decade great. Yes, the iPod commercials were popular. But the song is so much better than just an ad. The melody, catchy vocals and a slightly painful tale of teenage love all add up to a full composition, worthy of repeated listens. The band may be known for their crazy stage antics, but this song proves them a worthy rock band in general. Interesting lyrics and singing are mainly a way to get those brilliant guitars in. The echo is there like U2, but it is so much more muscular. Dark and brooding, the lyrics are plainly idiotic, and the voice seems out to copy Joy Division. But you know what: the song is still great. The dark is excellent, thanks to a beefy bass and tight drums. Of course, the whole thing just turns amazing through that final breakdown. The drums go, the guitars lock in and then it all comes back. Brilliant every time. Huge. Epic. Massive. Yeah, very redundant, but it’s hard to pound in just how big this song is. Structurally, everything is very simple. Big drum beat, some bass and guitars following behind. But the crazy vocals and just the scope of the operation make this worth hearing. Washed out, Sonic Youth-type sounds aren’t anything new. But when you play it this well and have a cooing siren as your lead singer, you tend to garner a bit of attention. I really love the drum pattern that carries throughout this track, and it helps drive this manic, swirling track right into your brain. This is an amazing way to make an entrance. Even more so when it heralds a return to form like this. After a few albums of mindless wandering, REM snap right into place with this searing song, lashing your ears with big guitars and angry lyrics. Bonus points: that entrance lick makes a great ringtone. This song can seem cheesy, but I love it anyway. It really hit for me during a Scrubs episode. The kind of deep affection and real sadness seen here are difficult to describe without sounding pathetic. Here, the sparse arrangement and the light vocals manage to tackle the subject without fear. Decidedly poppy, yet deceptively complex. “Kissing the Lipless” really shifts into a different place when it transitions to a faster song through those guitar attacks. The song is very refined, but still manages to feel raw and realistic through the strained singing. Pitchfork has vastly overrated this song. However, it is still worth hearing. Strong emotions and personal convictions drive this track. Personal reflection should probably result in all people having the hopes and dreams of Animal Collective in “My Girls”. Swanky and deliciously pop, this song is too catchy to be left off any decade list. But the whole thing gets turned over immediately when Allen complains about her man “f***ing that girl next door.” Very spiteful, but self-serving in how his guilt brings the singer joy. Personal redemption can be awesome. I’m not very familiar with the rest of Yeasayer, so I don’t know if this is a very representative song. But if so, they must be astronauts, making brilliant space music. The whole thing seems out of this world, and cements its place through both the chorus and the children shouting at the end. TV on the Radio know how to make a song. First, they pull you in with a cool drum pattern. Then, they keep you interested with the guitars and insane production. Just as you grow “bored,” they slow things down, let you feel it out. And then before that goes on for too long, they kick up the speed to a new high and ride it out. Nicely done. Religion and cancer are not often encountered in popular music. Yet here we find a quiet, caring man examining his own faith and reflecting on the death of a loved one. In the midst of the sprawling Illinoise, it is interesting to find this charmingly sad song, featuring acoustic guitars and a restrained banjo. Sonically beautiful, and mentally stimulating. I’m never really sure what The New Pornographers are ever singing about. But, here they are anyway. The strength of their lovely singing, bold poppy hooks and great variety of songs keeps me coming back. “Use It” is no different – strong singers and a memorable piano are enough to make this song rise so high. Ah, the slow build. This song is different than all others in the list so far, in that it features no vocals. Instead, a haunting piano line slowly grows louder. More sounds are added, a quiet electronic blip. Then the wall of guitar sound comes in off the horizon, this also building. It’s a very inspirational song to me, leaving a feeling of rising out of the ashes. By the end, it’s fist-pumping good and you feel ready for battle. Dear crappy punk rock: please take notes. After being a mediocre punk rock band, Brand New decided to grow up and write meaningful songs with interesting music. “Millstone” is a stunning song coming from a band that wrote “Jude Law and a Semester Abroad.” There are layers of sound, slow nuance, and lyrics that comment on personal failure in an intelligent way. This is a real evolution in music: Brand New are now a spectacular, respectable group of artist. It is all about that transition. Yeah, the start and the finish are both wonderful, but holy god. That moment around 55 seconds in is just magical. The guitars go tight, the drums get all wonky and the song is never the same. They never try repeat this stunning change at any point in their career (thus far), so you really must enjoy the moment. It is the point where indie garage rock and disco meet and it’s fantastic. Yeah, you’ve heard this song a million times now, but it is really good enough to carry a whole album. The apex of all Decemberists songs. Perhaps this is more surprising in that it is so different than anything else off of Picaresque. Whatever the case, the song is brilliant and scathing in its poppy abandon. A discourse on what is wrong with America, this track also manages to pull together an amazing horn group. And yet again, the little moments really win big points. Here, it’s the way the song finishes off, bringing the horn line back around for one last flourish. Perfect ending. I wish more garage rock sounded like this. Very fast, relentless in its thrash, “Fell in Love With a Girl” is such rush. Yes, we’ve all heard the crap about Meg’s drumming, but it is actually very fitting here. You only need a simplistic drum figure for Jack White to dance around. Tip: turn this up really really loud in your car, open all the windows and sing along. Bonus points if it’s winter. Afterward, try to tell me that this song is not awesome. Fleet Foxes have everything going for them. They’ve got amazing vocal skills. The multi-part melodies and powerful lead parts are unmatched in all of music (sorry Aretha – you’ll have to move over for a bunch of guys from Seattle). Fleet Foxes also play great music, with excellent guitar lines and brilliant drumming. And then there’s the atmosphere. Fleet Foxes is a very organic album, full of natural imagery and a timeless scope. Open spaces fill out with the gorgeous echoes of guitar and crooning in “Tiger Mountain Peasant Song.” Yet no particular era or location seems to account as the source of such beauty. You can’t seem to pinpoint a winter theme, a spring awakening, a summer journey through the night, or an autumn jaunt through the leaves in a forest. But it all seems so natural, so perfect, for whenever you are. Fleet Foxes released this debut in June to much fanfare and its power is such that it still feels fresh in the frigid climates of December. This is a magical album that enchants the mind with every listen. Very few releases in the past twenty years have held such a distinction. Yes, Fleet Foxes is the best album of 2008. That was easy – there was no competition. This is miles ahead of any followers. More importantly, Fleet Foxes is the best album of the decade, eclipsing even the majesty of The Moon and Antarctica and the stunning urgency of Kid A. It’s absolutely priceless in every way, representing the height in folk music and the true power of “indie” rock. Emotions and music combine here in the best way – get this and treasure it forever. Fleet Foxes is a keeper. Simple and brilliant, “A-Punk” is the best track off Vampire Weekend’s self-titled debut. It starts with the best jangly guitars in many years. The bright sounds jump out alongside a bouncy bass line and a tight drum part. The whole thing goes down very fast (only slightly over two minutes), but it’s jam-packed with excellence. In reality, this is the song that saved pop for me. Coming into 2008, my favorite “pop” band was Weezer, and I had been witnessing their fall. Make Believe was a flat-out terrible album and I was without hope for the exuberant pop-music that I once loved. Really the only “happy” pop that I managed to see was in 2007 was “tweeny” pop in its sugary, disgusting glory. No artistic benefit was to be seen with terrible lyrics, obnoxious “music” and legions of screaming fans. Vampire Weekend is like CPR for the ears. It’s so fresh, so tight, and so brilliant. This is how pop music should be. This is how the single should exist. This is far and away the greatest song of 2008. Enjoy. The critical reaction has been fairly positive, but the reaction from the blogosphere has been lukewarm. There was an extreme buildup, quite a bit of backlash and various other reactions. Some people think it’s too preppy, that some snot-nosed Ivy-Leaguers really don’t know a thing about making music. Even more, the apparent use of African-rhythms and ideas seems (to many observers) as a false way of being sophisticated. Well I’ll be damned if I care about any of the buildup on either side. Quite simply, the guys of Vampire Weekend have made the catchiest, quirkiest album in recent memory. The word here is “pop.” Everything presented is catchy and fun, full of vibrant, ringing guitars. The production and songwriting is tight and clean, offering a shiny example of the way pop should be. Every song has great ideas that stay with you for weeks to come. Opener “Mansard Roof” has an excellently delightful keyboard part that bounces along through the good beats. “Oxford Comma” asks about lies and has fairly goofy lyrics. “A-Punk” is simply the best song of the year with perfect jangling guitars and keyboards. “Cape Cod Kwassa Kwassa” has interlaid guitar parts with bongos. “M79” features bright strings and harpsichord-sounding keys. “Campus” is a thoughtful song about romance and college life. “Bryn” has an amazing guitar line that follows throughout. There is a bit of nonsensical fun on “One (Blake’s Got a New Face).” The drums are stronger and more meaningful at the end of “I Stand Corrected.” The pianos are great and uplifting on “Walcott.” There is brilliance in the minimalism and string parts on “The Kids Don’t Stand a Chance” and it provides a great closer to the album. Yeah – I just listed a small bit about every song on the album. But the amazing thing is that with even a preliminary play, you’ll notice these parts just jump out. The roadmap listed above is fairly representative of what will stick with you. Vampire Weekend is a great album, from start to end. The musicality (yes, it’s really quite impressive) and the infectious tunes are simply amazing. This is deservedly the second greatest album of 2008.